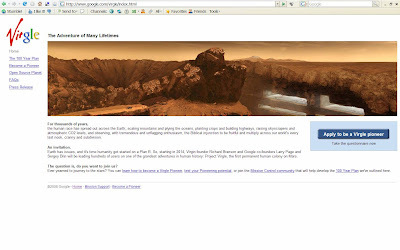 Google and Virgin plan to colonise Mars through 'Project Virgle'! 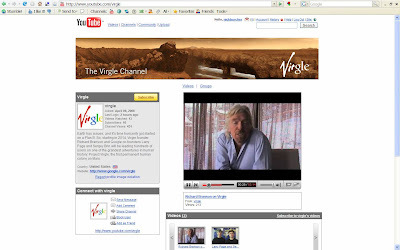 Google and YouTube have teamed up with Virgin to produce a great April Fool - Project Virgle! www.google.com/virgle has all the information and gives the opportunity to sign up to the project and talks in depth about their plans for an "Open Source planet"! Very entertaining - great April fools day idea!